The amazing life and time of Madame Tussaud Marie Grosholz was born in Strasbourg, France, on December 16, 1761. 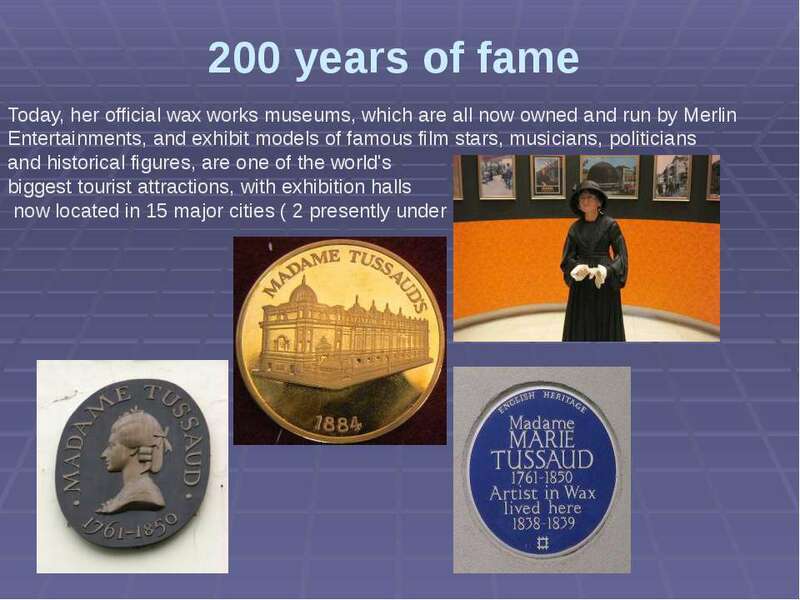 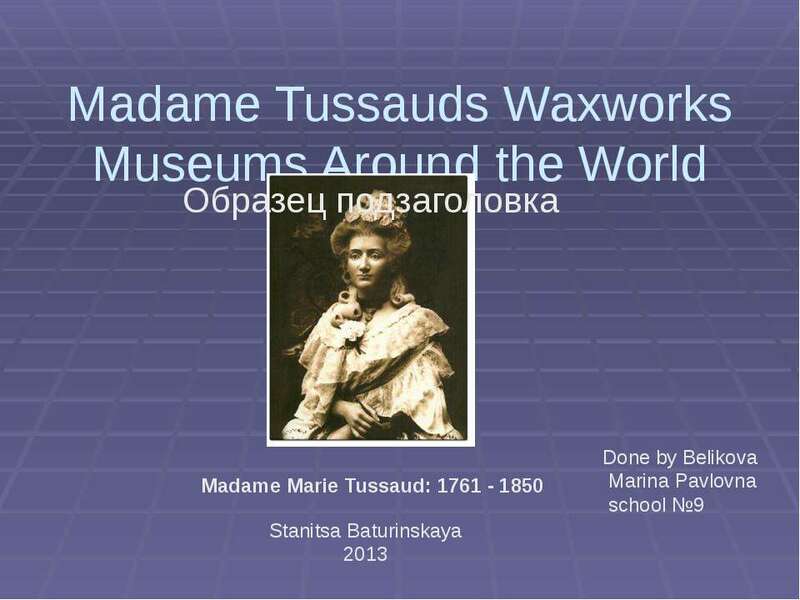 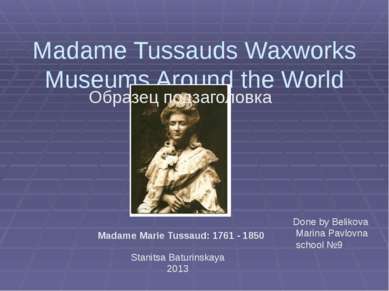 The amazing life and time of Madame Tussaud Dr Curtius taught Marie, how to model in wax. 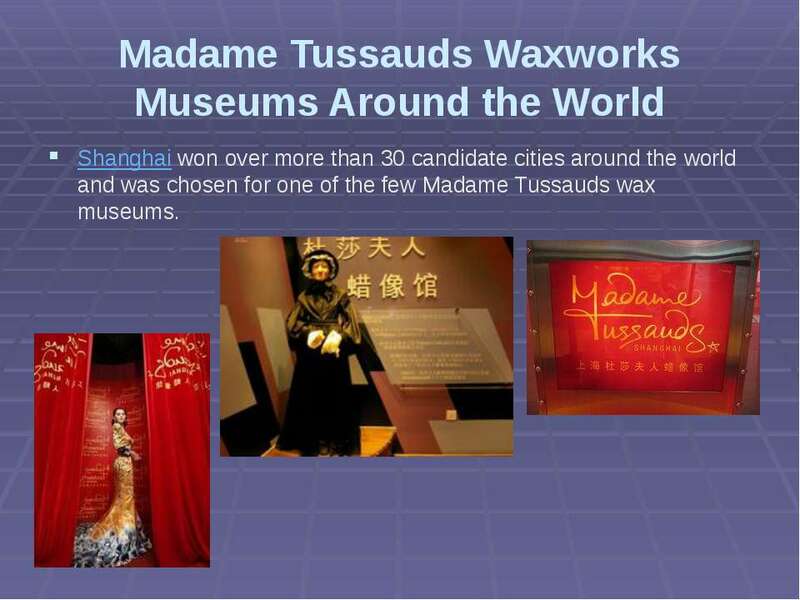 Soon, Marie and her mother moved with Doctor Curtius to Paris, where he founded his own wax museum. 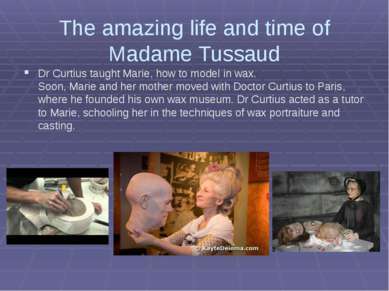 Dr Curtius acted as a tutor to Marie, schooling her in the techniques of wax portraiture and casting. French Revolution Marie was made to take death masks from the heads of famous people, who had been guillotined, including King Louis XVI and his wife, Marie Antoinette. 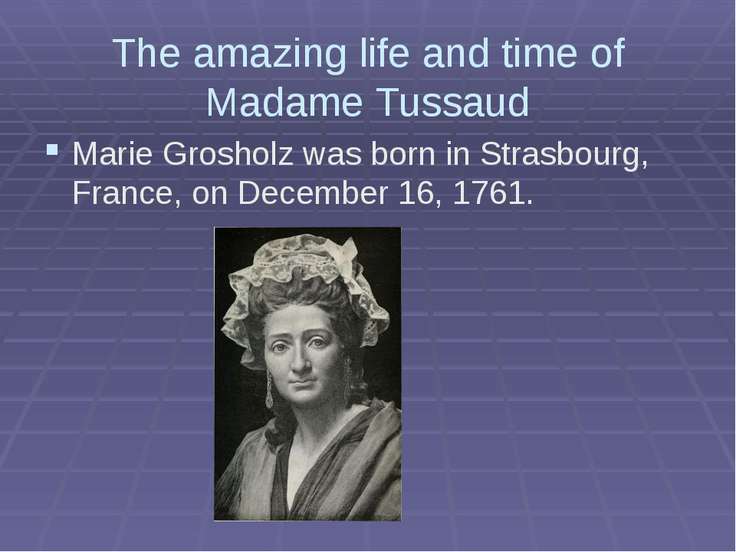 She was very daring and patient. 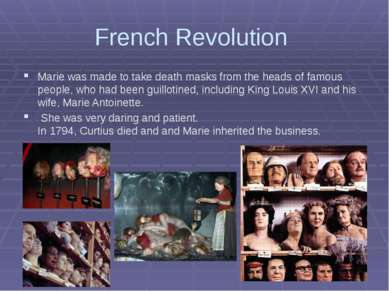 In 1794, Curtius died and and Marie inherited the business. Who is else? 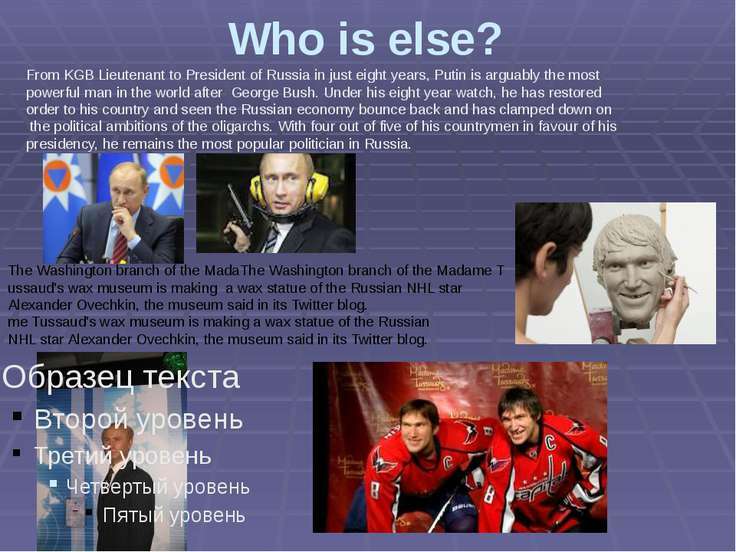 From KGB Lieutenant to President of Russia in just eight years, Putin is arguably the most powerful man in the world after George Bush. 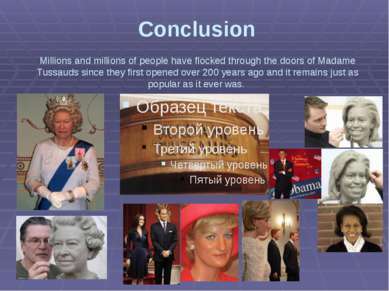 Under his eight year watch, he has restored order to his country and seen the Russian economy bounce back and has clamped down on the political ambitions of the oligarchs. With four out of five of his countrymen in favour of his presidency, he remains the most popular politician in Russia. The Washington branch of the MadaThe Washington branch of the Madame T ussaud's wax museum is making a wax statue of the Russian NHL star Alexander Ovechkin, the museum said in its Twitter blog. 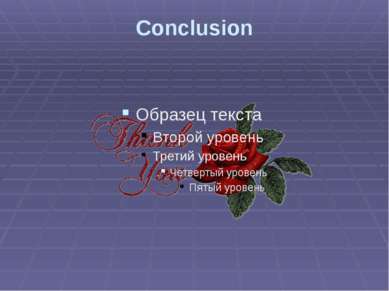 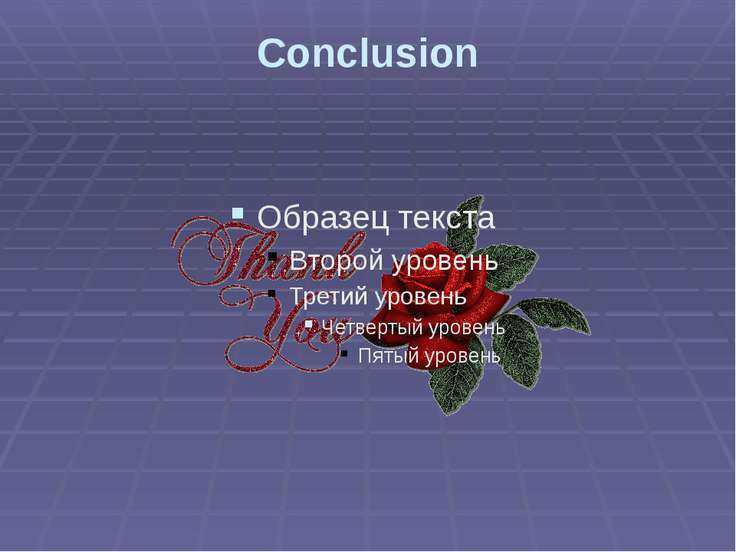 me Tussaud's wax museum is making a wax statue of the Russian NHL star Alexander Ovechkin, the museum said in its Twitter blog. 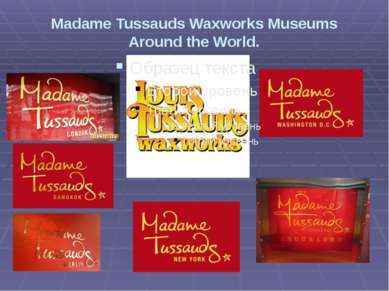 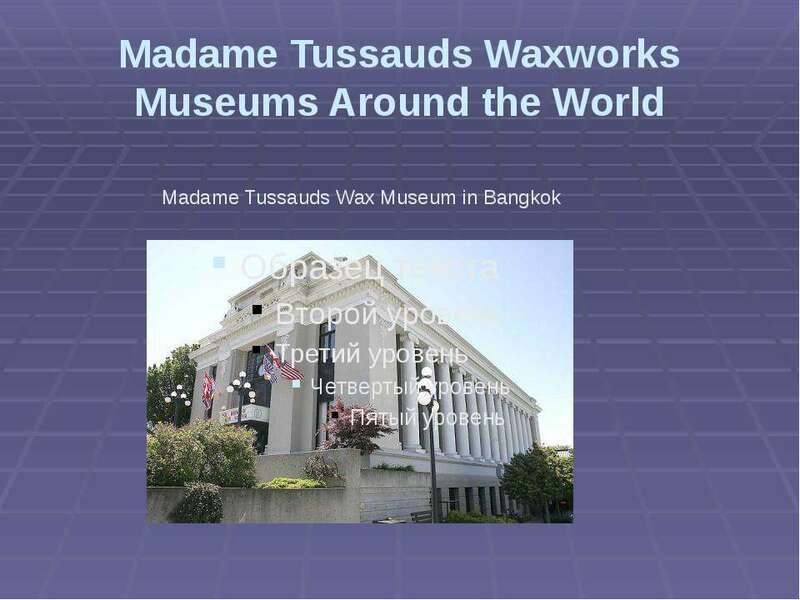 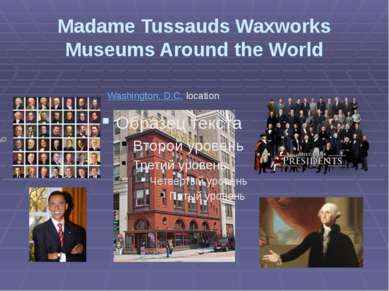 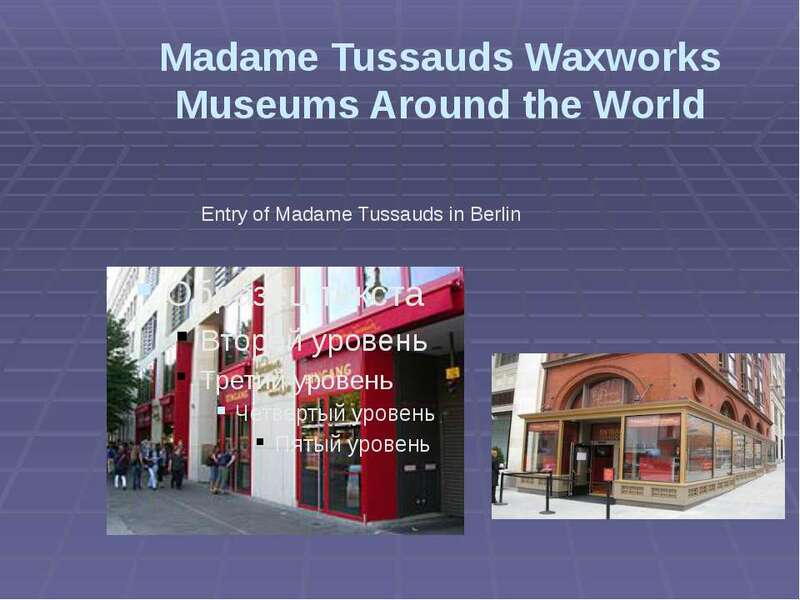 Madame Tussauds Waxworks Museums Around the World. 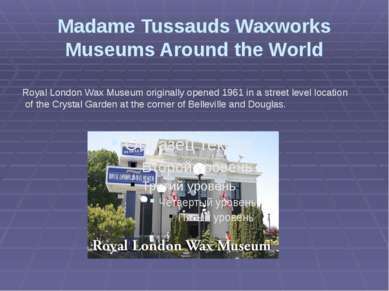 Madame Tussauds Waxworks Museums Around the World Royal London Wax Museum originally opened 1961 in a street level location of the Crystal Garden at the corner of Belleville and Douglas. 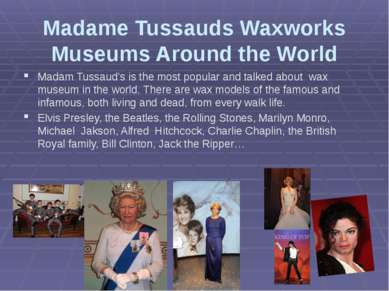 Madame Tussauds Waxworks Museums Around the World This museum is the heart of Manhattan’s Clinton neighborhood. 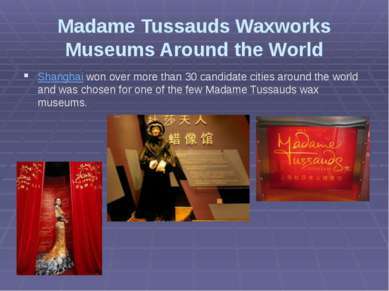 Located at 234 West 42nd Street, this museum exemplifies the spirit of New York City. 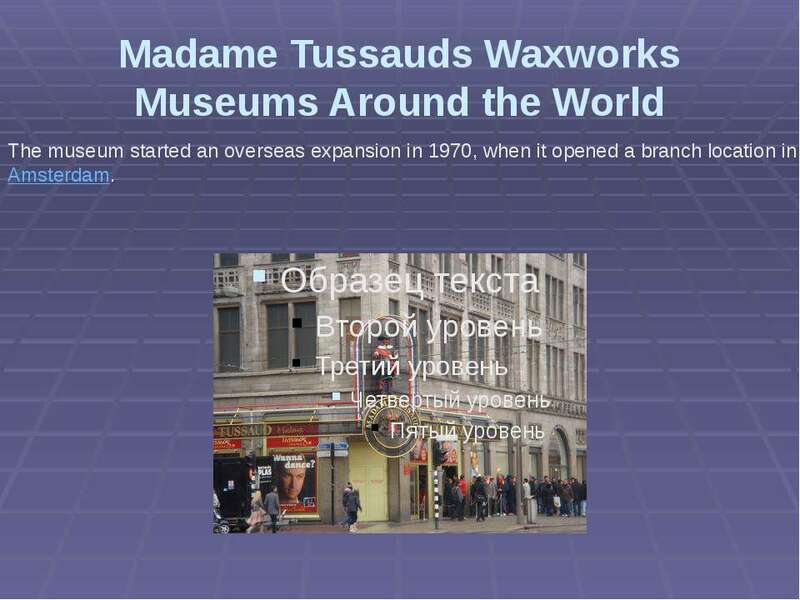 Madame Tussauds Waxworks Museums Around the World The museum started an overseas expansion in 1970, when it opened a branch location in Amsterdam. 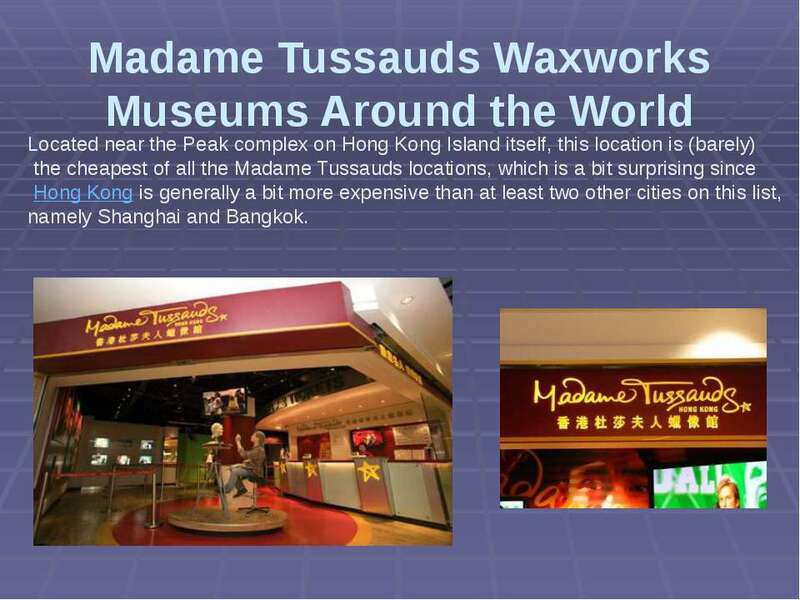 Madame Tussauds Waxworks Museums Around the World Located near the Peak complex on Hong Kong Island itself, this location is (barely) the cheapest of all the Madame Tussauds locations, which is a bit surprising since Hong Kong is generally a bit more expensive than at least two other cities on this list, namely Shanghai and Bangkok. Madame Tussauds Waxworks Museums Around the World Indian Celebrities Wax Statues at Madamme Tussauds Museum There are six Indian Celebrities who got the honor to be immortalized by the Madame Tussaud’s Wax Museum at London and also in Times Square, New York.